Dendritic cells (Dcs) are now widely understood to be perhaps the most efficient and critical of all antigen presenting cells. They are primarily responsible for acting as sentinels that detect and internalize foreign antigen in peripheral tissues and then conveying the antigen to lymphoid organs for presentation to T cells. Although B cells also exhibit an exquisite capacity for antigen presentation, they efficiently present only the single antigen recognized by the B cell receptor. DCs, on the other hand, can present a seemingly limitless array of complex protein, carbohydrate, and lipid antigens, and do so even if provided with only minute quantities. 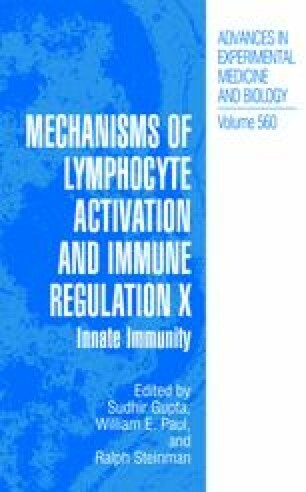 Moreover, DCs have a marked capacity to stimulate even immunologically naive T cells, and as such are increasingly thought to play a unique role in the initiation of all antigen-specific immune responses .